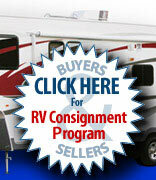 Michigan RV Broker USA 2006 Starcraft Centennial Series 3606At Michigan RV Broker USA we have great RVs! 2006 Starcraft 360 Excellent Condition. Large Pop-Up Camping Trailer with Dinette Slideout. 67"X78" Beds Front and Rear. Totally Equipped including 3 Way Refrigerator Microwave Interior Shower Cassette Toilet Sink 6 Gallon Gas Water Heater 4 Stabilizer Jacks Dual 20# LP Tanks Battery Battery Gauge Outside Shower Front Storage Trunk Awning Spacious Floorplan Sleeps 6. Our Loan Payment Calculator computes an estimate of the size of your monthly loan payment. It assumes that the interest rate remains constant throughout the life of the loan. This calculator also assumes that the loan will be repaid in equal monthly installments. The results will not be accurate for some of the alternate repayment plans, such as variable interest rate loans. NOTE: Our calculator is NOT meant to reflect your ACTUAL payment since we do not know what interest rate you will aquire. We are not held responsible, nor will we be required to adhere to what you use in our calculator as input criterea to determine your payment.